Made entirely from plastic (93% recycled), these colourful pegs have an extra strong grip and are frostproof and UV stable. These pegs can liven up your wash day with less cost to the environment and no broken or rusty springs and unsightly peg stains. Made from a single piece of recycled plastic these pegs are extremely strong, durable and more energy efficient to produce. Please note: Colours of pegs may vary between green & yellow or blue & pink, image is is for illustration purposes only. The EcoForce Recycled Pegs- 24pk product ethics are indicated below. To learn more about these product ethics and to see related products, follow the links below. Good quality product. Used outside on my line. I think like most of these natural products whoever you are you're not going to be disappointed. 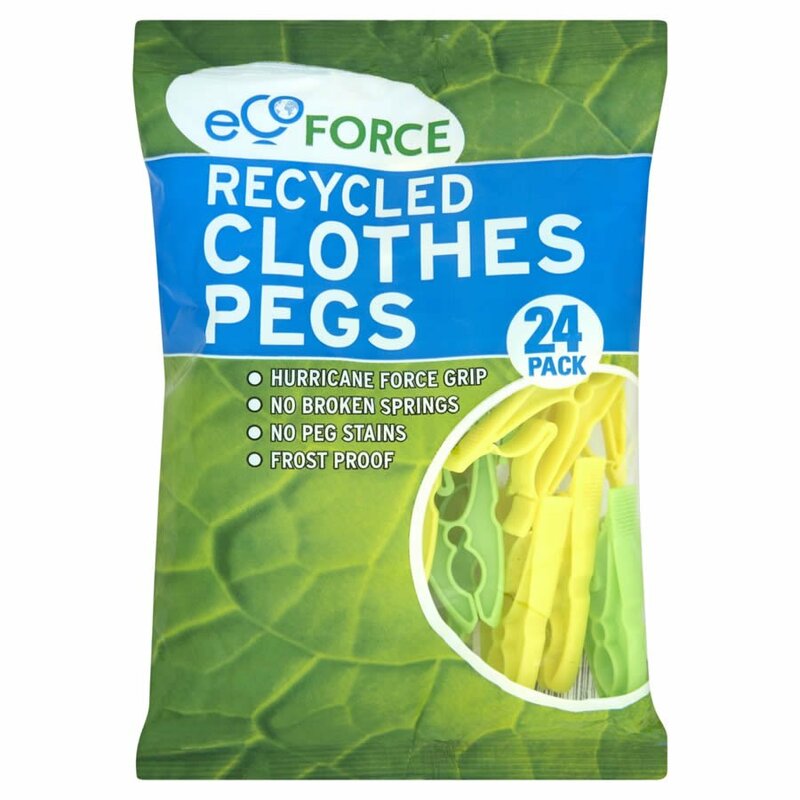 There are currently no questions to display about EcoForce Recycled Pegs- 24pk. EcoForce manufacture a range of eco products, offering a more sustainable option than products made of non-recycled materials. Their aim is to make consumers think and behave in a ‘greener’ way by providing a range of affordable household products made from recycled materials.